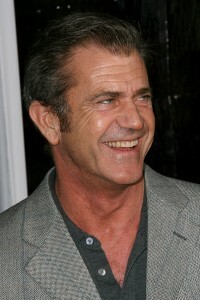 Mel Gibson lost control of his car in the early evening on Sunday, August 15, in Malibu. He put his 2008 Maserati up against the rocky side of Malibu Canyon Road. The car had to be towed away but Gibson wasn’t hurt. Mel Gibson has had a lot of experience with the police these last few years and this time out, Gibson was cooperative and respectful. He claims he wasn’t on his cell phone and when asked if he dozed off, he avoided answering the question. The Highway Patrol said that a DUI is not suspected. Four years ago when Mel Gibson was arrested for suspicion of driving under the influence in Malibu, he became confrontational with police and uttered anti-Semitic remarks for which he later apologized. He entered a no-contest plea to a DUI and received three years of probation. Gibson’s currently still in the center of an ugly breakup and child custody case with ex-girlfriend Oksana Grigorieva. She claims he was violent and made racial slurs. That one’s not over yet.